See scan - perfect condition. Extremely rare - first time I've ever have this piece in my hands. 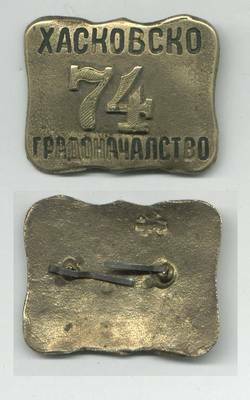 Each town's municipality had its own special town police at that time and each policeman had such a personal number badge / patch to wear on his uniform. 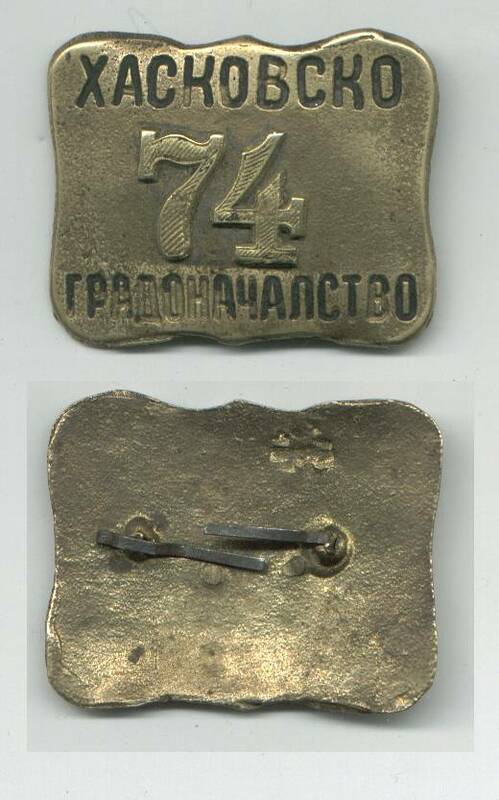 This cop's badge is from the Bulgarian town of Haskovo and number of the guy is clear on top. All these badges had to be returned to the respective authorities after retirement or end of service. It is almost impossible to locate such a piece. A true collector item and probably the last time one shall see such an item for sale.